S.K. Agarwal and Co. are counted as the leading organizations engaged in supplying and distributing a wide range GALVALUME product. Our product is developed under the guidance of experts and we never compromise on the quality of the products. Our coated product nominally contains 55% Aluminum, 43.5% zinc and 1.5% silicon by weight. Our products are highly demanded by the clients for the salient features like weather resistance, high efficiency and longer service life. Our GALVALUME sheet is a unique product which is suitable for heating and ventilation applications and can withstand temperatures up to 315°C without discolouration. We have complete range of high quality prepainted steels produced by JSW. Our prepainted steel products available in various specification and each specifically developed to provide high levels of performance in different applications. 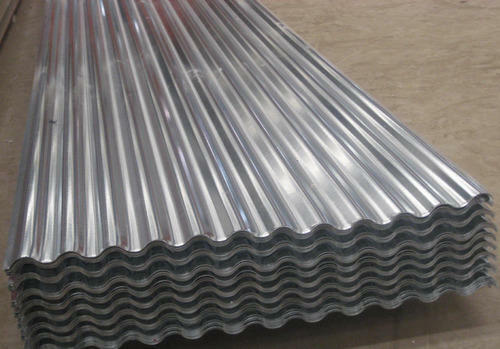 Incepted in the year of 2015, Established at Faridabad, Haryana, we, Shree Ram Steel Mart, are a highly acclaimed Manufacturer and wholesaler of premium quality Self Drilling Screw, Roofing Sheet, Turbo Ventilator and many more. The products offered by us are manufactured in compliance with industry specified quality guidelines at our ultramodern infrastructure facility. These are highly acclaimed for their sturdy designs, durability, convenient installation and hassle free maintenance. Our products are stringently checked for their quality by a team of experienced quality auditors in order to ensure the optimum satisfaction of the clients. By consistently offering high quality products to clients at economical prices, we have earned their valuable trust and acclaim. The demand for our products is high in the industrial sector. Our diligent professionals earnestly strive to make the best products available to clients within the specified time period.